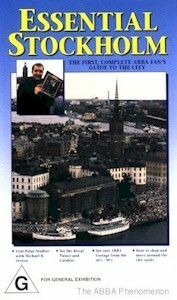 March 1999 saw the release of the long-awaited fan video Essential Stockholm . This 83 minute documentary shows the city of Stockholm, how to get around, and most importantly how to find all the ABBA related sites in the city. The video also features rare ABBA footage and photographs, plus a couple of local fans, Annelli and H�kan, show presenter Rod Kirkman around Gamla Stan. In April 1999 ABBA celebrated the 25th anniversary of winning the Eurovision Song Contest with 'Waterloo'. To commemorate this momentous occasion PolyGram issued two special limited editions. The first was a remastered version of ABBA Gold . 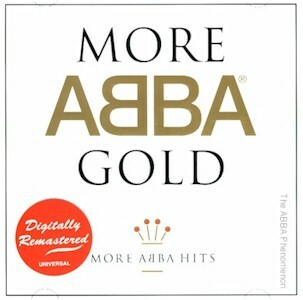 This new version was released in a limited-edition jewel case, with ABBA's signatures embossed on the front. The re-release had new and accurate liner notes by Carl Magnus Palm, plus it featured the full versions of 'Voulez-Vous' and 'The Name Of The Game', which had both been edited on the original 1992 issue. Like the original Australian release, this version also included the alternate track listing with 'Ring Ring', 'I Do, I Do, I Do, I Do, I Do' and 'Rock Me' replacing 'Super Trouper', 'I Have A Dream' and 'Thank You For The Music' from the international release. The artwork was also changed slightly from the original issue, with some photographs substituted. 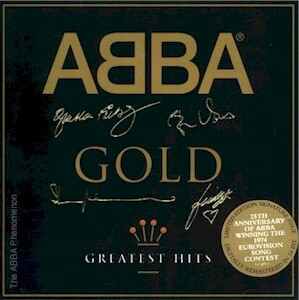 The rerelease of ABBA Gold was a huge success around the world, including in Australia, where it peaked at number 2, with total sales of both issues now over 840,000 copies. The second was an even more limited item: ABBA Singles Collection 1972 - 1982 . This box set included 29 CD singles, based on the singles box set released in Germany in 1983. The singles were all replicas of the original German/Polydor singles, including the original box set bonus disc of 'Waterloo' in German and French, plus an additional bonus disc of 'Waterloo' in Swedish. This collection was the first time that the single remix of 'Ring Ring' had been officially released on CD, and also the first time that several of the songs had been released in Australia. The collection also included a booklet with track-by-track annotations by Carl Magnus Palm. The set was limited to only 20,000 copies released worldwide. The huge worldwide success of the remastered re-release of ABBA Gold saw Universal Music (formerly PolyGram) decide to re-release the 1993 sequel CD More ABBA Gold in August 1999 , again remastered in 24 bit with new liner notes by Carl Magnus Palm, "with thanks to" the creator of this site. 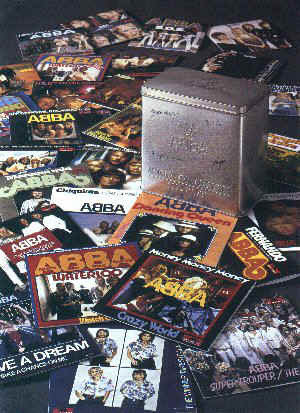 As the Australian version of ABBA Gold had featured the songs 'I Do, I Do, I Do, I Do, I Do' and 'Ring Ring', which were also on the original issue of More ABBA Gold, Universal Music removed these two songs, plus 'Lovelight' and 'Cassandra', and added 'Super Trouper', 'I Have A Dream' and 'Thank You For The Music', which had been dropped from the local version of ABBA Gold. The artwork was similar to the original 1993 issue. A second edition of More ABBA Gold appeared in record shops on 20 September . This version has "Digitally Remastered" printed on the backing sheet, visible from the front of the CD, and the phrase "A Universal Music Company" has been added to the back cover, printed below the Polydor logo. The re-released More ABBA Gold was nowhere near as successful as ABBA Gold, peaking at only number 80 on the album chart. 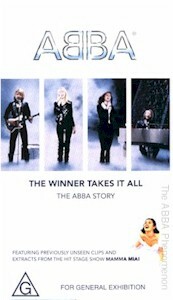 On 27 March 2000, the television documentary The Winner Takes It All - The ABBA Story was released by Universal Pictures Video . The documentary told the ABBA story, with archival performance footage, and new interviews with the former ABBA members and many of the people that worked with them in the 1970s. The video version included about forty minutes worth of additional footage not included in the version screened on ABC-TV in May 1999. The Australian release features a sticker on the cover announcing "as seen on ABC TV" and mentions an additional 30 minutes of footage not seen on TV, echoing the UK-written text on the cover. 1 May 2000 saw the repackaging of the ABBA Gold series continue, with the release of the double CD The Complete Gold Collection . 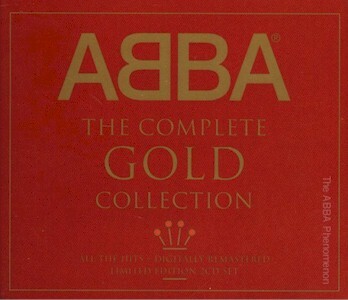 This uniquely Australian compilation brought together the two 1999 remastered versions of the popular CDs ABBA Gold and More ABBA Gold, and features the subtitle All The Hits - Digitally Remastered Limited Edition 2CD Set. The package came in a double CD case with new artwork front and back, this time with a distinctive red cover. Inside were the same booklets from the two 1999 issues of the Gold CDs. A curious release, given that ABBA Gold had been so hugely successful just twelve months earlier, with More ABBA Gold less so. 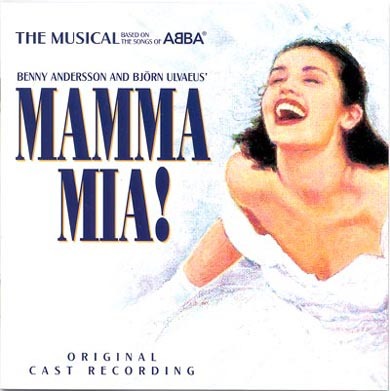 Leading up to the premiere of the musical Mamma Mia!, based on 22 ABBA songs, at the Princess Theatre in Melbourne on 9 June 2001, the original (London) cast recording CD was released in May . In July 2001 Universal Music reissued the entire catalogue of ABBA's eight studio albums: Ring Ring, Waterloo, ABBA, Arrival, The Album, Voulez-Vous, Super Trouper and The Visitors. All CDs featured new and fresh artwork, liner notes by noted ABBA historian Carl Magnus Palm, contemporary photographs, bonus tracks on all CDs, and for the first time, lyrics for all the albums. The CDs were released in both standard jewel cases and limited edition digipaks (though ABBA, Arrival and Super Trouper didn't appear in digipak until December). NOTE: All new releases since this Discography was last updated are included on the The Albums, The Videos and Currently Available pages. I am currently working on updating this part of The Discography.